When you think of all-inclusive resorts—particularly family-friendly all-inclusive resorts—you probably think of Mexico and the Caribbean. Destinations in these areas are the standard for sure, but there are actually all-inclusive resorts for families close to home and all around the world—even in far-flung destinations such as Marrakech and the Philippines. And surprisingly, many of these all-inclusive resorts are well-rated by families and offer affordable nightly rates. Read on to discover some surprising destinations with all-inclusive family resorts. With nine all-inclusive locations throughout the Red Sea region, Sunrise Resorts Egypt offers families lots of options for an exotic vacation. 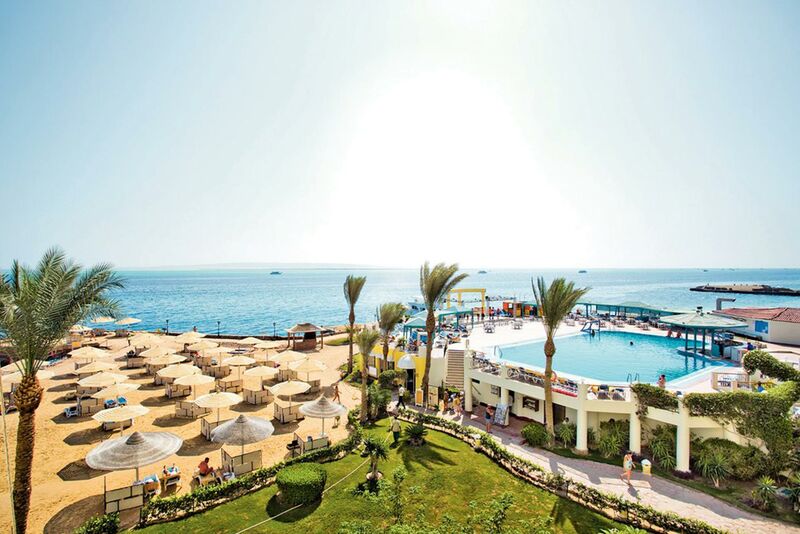 Most of the Sunrise resorts, such as SENTIDO Mamlouk Palace Resort, feature a kids’ club, which is manned by a professionally trained staff. Children can participate in a number of daily activities including swimming, sports, arts and crafts, and even cooking. Additionally, special events such as disco nights and movie nights are held throughout the week. Each resort also offers a full-menu of water sports, dining, and entertainment options for the entire family to enjoy together. For a fee, you can even hire a babysitter so you can have a kid-free night out. 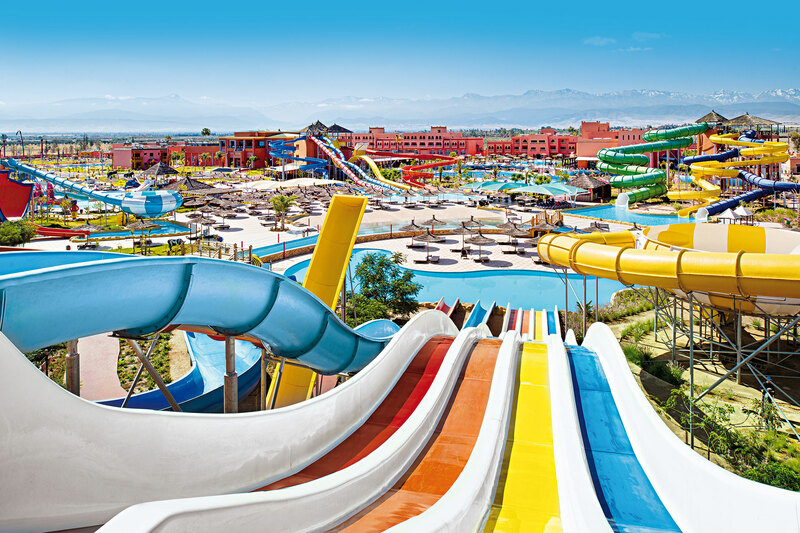 Labranda Aqua Fun Club in Marrakesh is home to the largest water park in all of Morocco and offers families all-inclusive accommodations that include seven dedicated children’s pools, a playground and a kids’ club for children between the ages of 4 and 12. Kids will love the lazy river! There’s also a sports club and various playing fields including mini-golf and tennis, as well as a billiards room. Lots of international cuisine options are available, and there are plenty of relaxation options for the grown-ups to enjoy while the kids are at play. 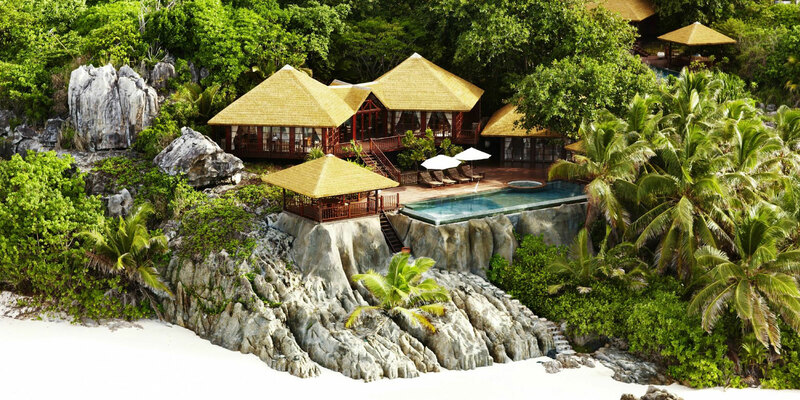 In the Seychelles, Fregate Island Private offers families a variety of accommodations set in natural surroundings, allowing visitors to truly experience the beauty of the island. While there’s lots to explore on the many trails around the resort, when you’re not in the mood for mountain biking or a night safari, you can send your kids to the Castaway Club, where they will be led in various activities and excursions by a dedicated children’s staff. There are plenty of included water sports and excursions to nearby islands, as well. You can also request personalized dining experiences at the venue of your preference, whether it’s your villa, the beach or poolside. 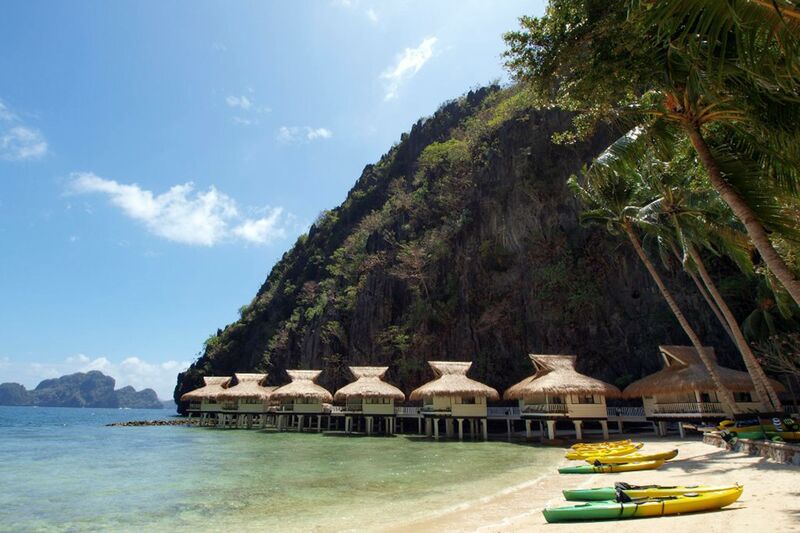 In the up-and-coming resort destination of Palawan in the Philippines, El Nido features four properties, each with its own unique characteristics. Though families are welcome at any location, the El Nido Miniloc Island outpost is particularly well-suited for those traveling with children. Described as an “eco-discovery island resort,” Miniloc is set up like a native village and offers experiences focused on enrichment for the whole family. 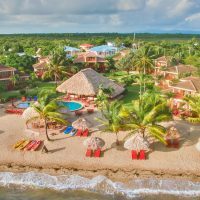 When not exploring the lagoons or learning about the local wildlife, families can relax at the resort and enjoy amenities including volleyball, soccer, billiards and more. There’s also a dedicated activity center just for kids. Meals and tours are available onsite. 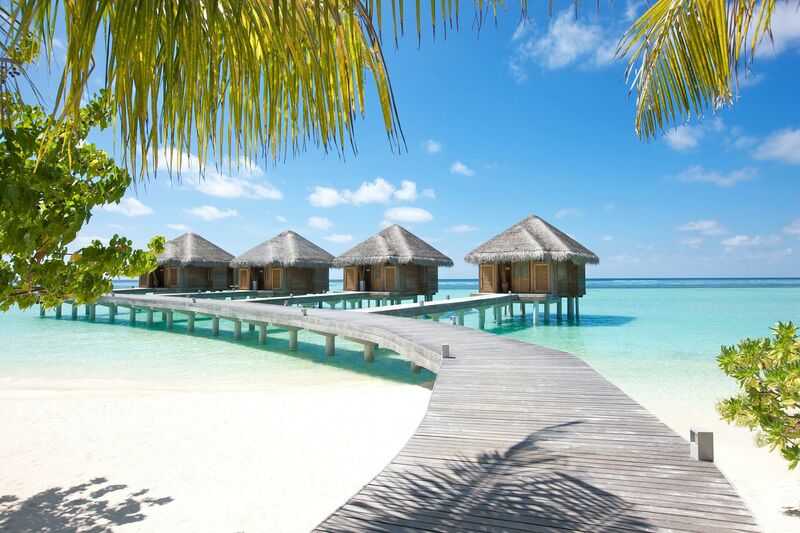 At Lux* South Ari Atoll Resort in the Maldives on the island of Dhidhoofinolhu, you and your family will stay in a waterfront private villa. The resort has a children’s program for kids between the ages of 3 and 12, where kids will spend their days learning about the island and its eco-system and participating in crafts, games, sports and outdoor activities. There’s also a teen center, which focuses on enrichment including dance and language classes, and offers exclusive excursions. The resort has eight restaurants offering a variety of cuisines, an onsite dive center, and lots of other water sports and land-based options. TT Hotels has 13 locations throughout Turkey, several of which offer family-friendly all-inclusive accommodations. 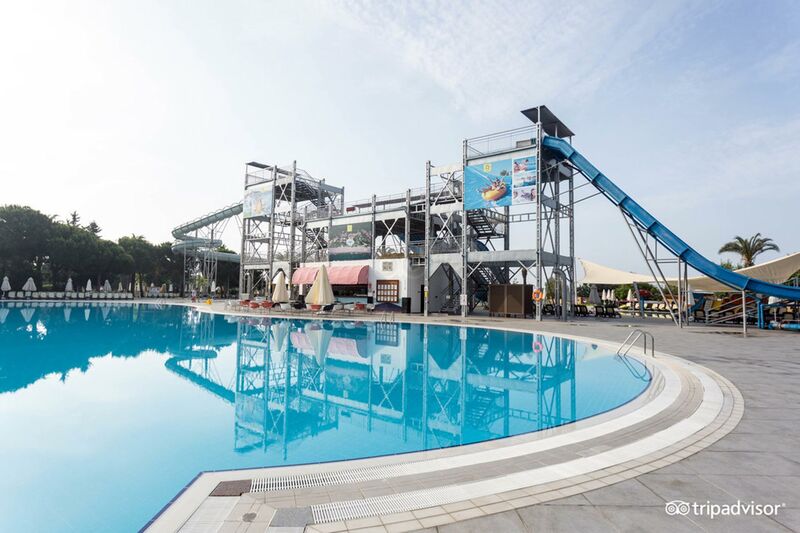 TUI Magic Life Waterworld Hotel in Antalya is of particular interest. Each property features expansive water play areas complete with multiple swimming pools, splash pads and waterslides, in addition to a number of other amenities designed for family enjoyment. Options may include kids’ clubs, live shows, outdoor theaters and more, depending on location. Restaurants offer both international and local Turkish cuisine, and of course, most feature Turkish baths and spa facilities for the grown-ups. 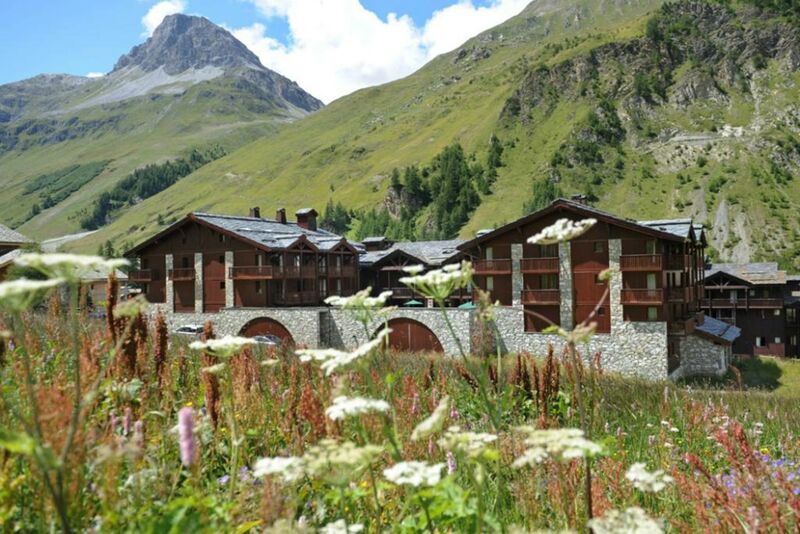 Club Med still runs many all-inclusive facilities throughout Europe, including Club Med Val d’Isere in the French Alps. The resort is the ideal hub for a family ski vacation, with ski-in/ski-out access, a kids’ club, multiple dining options and bars, snow activities, a skating rink, a swimming pool and a spa—all onsite. There’s even daily and nightly entertainment suited for all ages. In Cadiz, IBEROSTAR Royal Andalus is located right on Barrosa Beach and offers the complete all-inclusive family vacation experience. 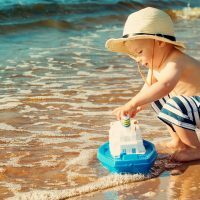 The resort has both a childcare center for babies and a kids’ club for older children to partake in a variety of fun activities; multiple swimming pools, including a dedicated children’s pool; and an outdoor playground. The well-equipped resort also offers nightly entertainment and has a spa and multiple dining venues. All-inclusive hotels are actually pretty common in coastal Eastern Mediterranean towns, but not all are as family-oriented as Louis Phaethon Beach in Cyprus. 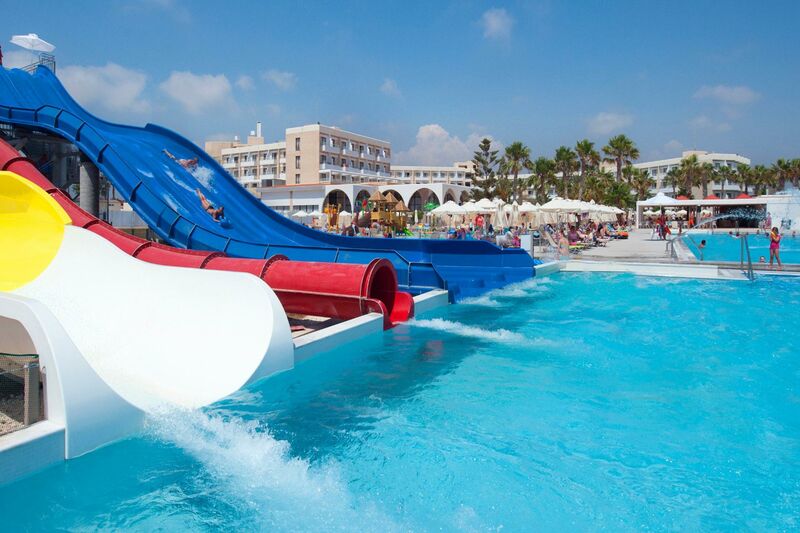 The highlight of a family vacation at Louis Phaethon Beach is the expansive water park and pool area, complete with waterslides and a splashpad. But there are lots of other options as well, including a bowling alley, tennis and badminton courts, a game room and more. There are even special activities and events organized just for kids on a daily basis. There’s a dedicated kids’ club, and babysitting services are available as well. There are multiple dining options onsite, and a spa, nightclub and gym for the adults. 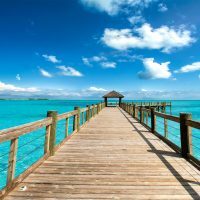 True all-inclusives—especially those that allow children—are uncommon in the South Pacific, but The Brando, which is located about 30 miles northeast of Tahiti, offers just that. The small resort is composed of a few dozen spacious villas, all of which can accommodate families with children, and several dining venues. Though there is no dedicated kids’ club, there are numerous activity options including a library and “explorer” center with onsite research scientists, water sports, a tennis court and use of bicycles (children’s bikes available). Every villa has a large outdoor bathtub and some have their own plunge pools. Daily excursions and spa treatments are included.